May God give you what you really want. and love from all your family and friends. 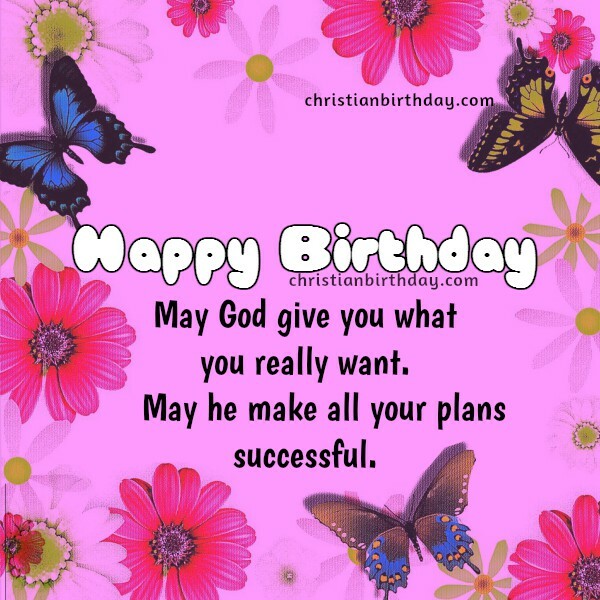 Free christian birthday card for woman, sister, girl, Bible verse for birthday, free image by Mery Bracho to say happy birthday to a friend.